We have to share something sad but beautiful with you. This is Squiggle, one of the oldest mares on the Salt River. These are sad but amazing moments when her band was giving her comfort this morning in her dying moments. Squiggle could no longer get up. After these precious moments, we euthanized her humanely. Later when she had passed, her band came back again to say goodbye as we so often see them do. 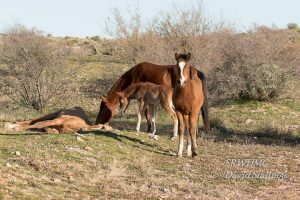 It is a testament to the highly social structures and the amazing understanding wild horses have of death. 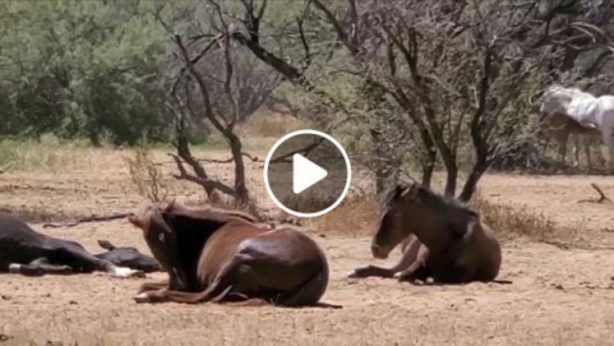 No matter how sad this is to watch, this mare lived a beautiful and long free life. She never depended on anyone, she never felt a saddle or spurs, and she was never chased by a helicopter. She loved and cared for her family, and had them by her side until the end. She received a merciful quick ending, instead of the long suffering death it would have otherwise been. 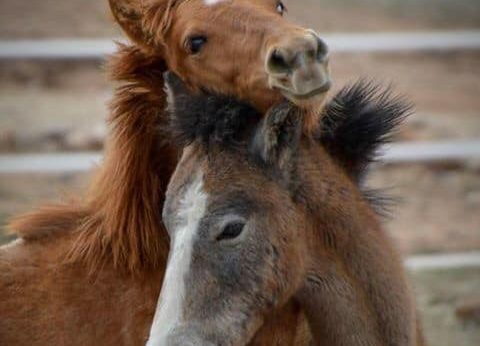 Because of the great working relationship with the AZDA, and cooperation of the local authorities, we are able to make a real difference in these wild horses’ lives; be it end of life situations like this, providing feed during a drought, humane birth control, or rescuing them when needed. Some of you may have noticed that we have been getting bashed by some “let em be” Arizona activists lately. However we feel that humane management means to take responsibility for the solutions, and to make a difference where and when you can, no matter how difficult sometimes. That’s how we have gotten to where we are today and that’s why Squiggle was able to live out her life wild and free. 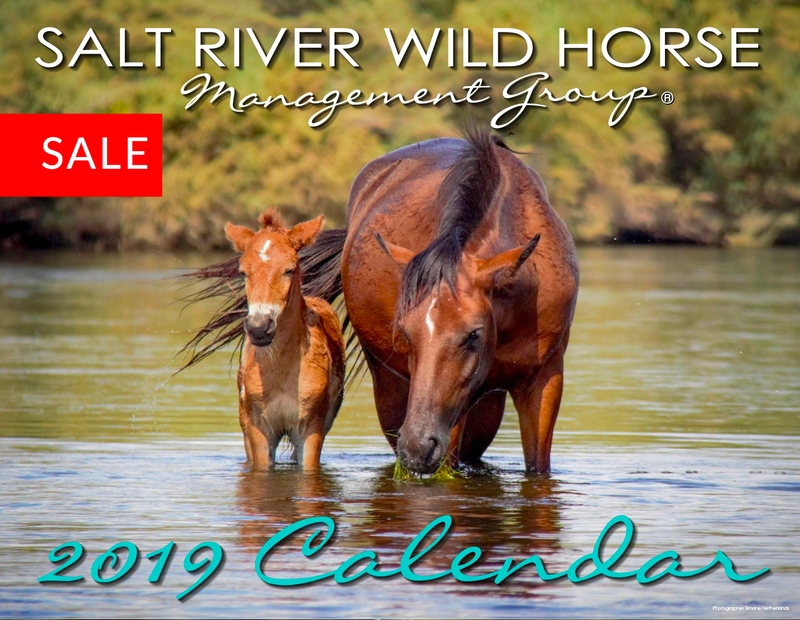 We are grateful for these ways in which we can make life better for this cherished herd, and we are grateful to have you, the public, as well as the authorities and AWHC by our side.